I know you’ve heard the term ocean acidification, but do you know what that phrase means? 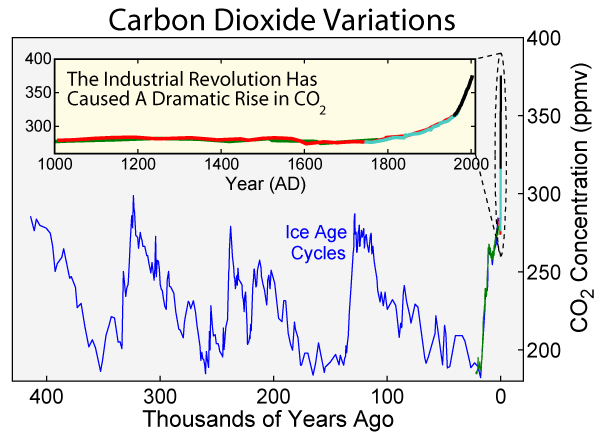 Noting a sharp increase of carbon dioxide since the Industrial Revolution. Humans burn fossil fuels. You probably burned some today on your way to work. Fossil fuels burned add carbon dioxide into the atmosphere. We also cut down trees (deforestation) and when we do that, we lose our natural CO2 absorbers. Annually, humans put in about nine billion tons of carbon into the atmosphere. This is an unprecedented level and it’s occurring because of man made, not natural reasons. “Ocean covers seventy percent of the earth’s surface, and everywhere that water and air come into contact there’s an exchange. Gases from the atmosphere get absorbed by the ocean and gases dissolved in the ocean are released into the atmosphere. When the two are in equilibrium, roughly the same quantities are being dissolved as being released. Change the atmosphere’s composition, as we have done, and the exchange becomes lopsided: more carbon dioxide enters the water than comes back out. … Every day, every American in effect pumps seven pounds of carbon into the sea.” (Kolbert, pg: 114). Scuba divers may recognize Henry’s law in play in the paragraph above. Change in pH levels from 1700-1990’s. This changes the pH* of the ocean. 7 is neutral, above 7 is base, and below 7 is acid. The current average was 8.2, and is now 8.1. That number is lowered due to the increased absorption of carbon dioxide, which means the ocean is more acidic than previously. You can see in the picture above that pH levels have dropped all over the world since the 1700’s. 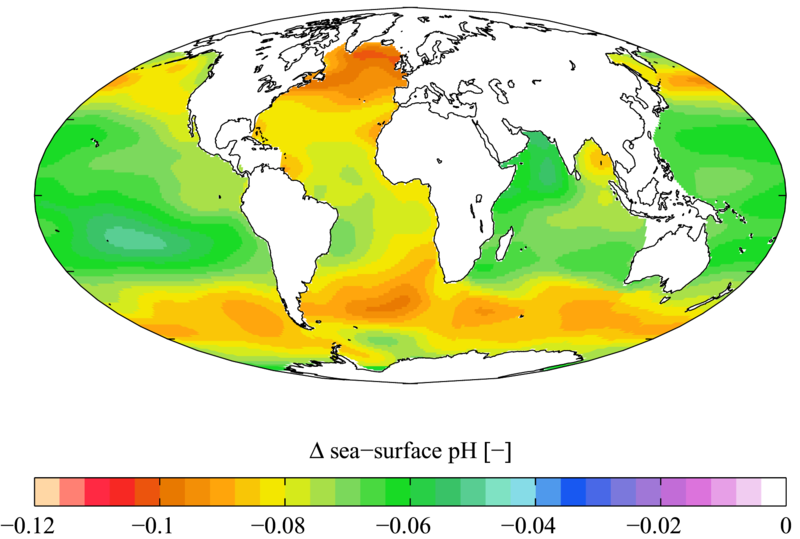 OK, so the burning of fossil fuels makes the ocean more acidic. Why is that bad? next time… on the merbabe adventures. The quote above is from The Sixth Extinction, by Elizabeth Kolbert. This book reviews the 5 major mass extinctions of the history of the world, and makes the argument that humans are facilitating the 6th mass extinction presently. I highly recommend it. Sharks and Technology: How science is giving sharks a new chance. 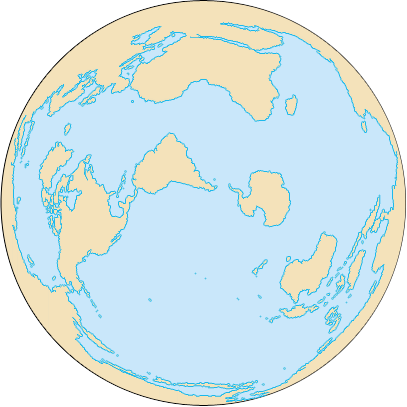 What does an acidified ocean mean?